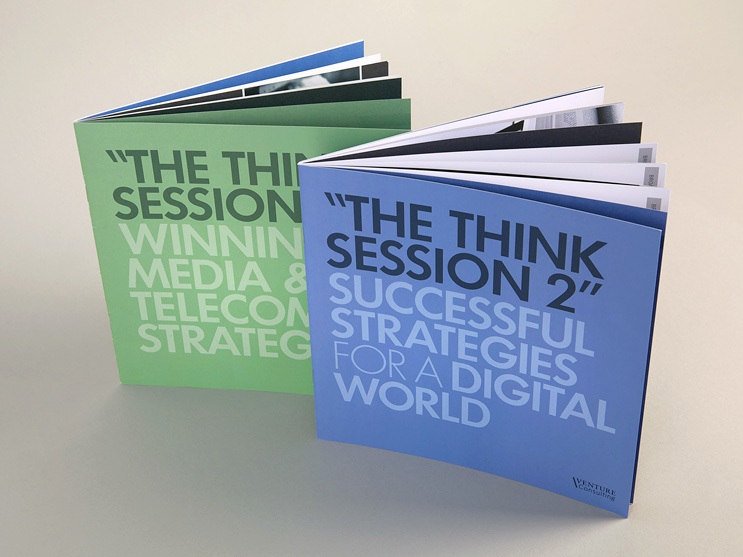 Venture Consulting is a strategy consultancy firm based in Australia, Singapore and London specialising in the convergent media and telecoms sectors. 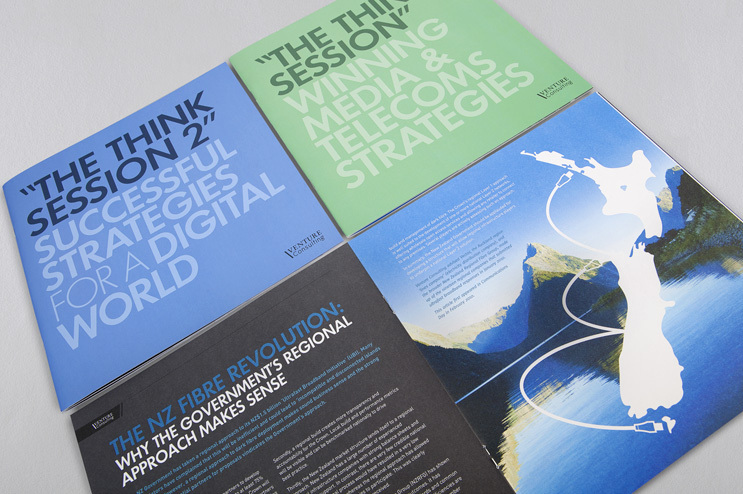 Their aim was to demonstrate their range of services along with their expertise and professionalism in printed thought pieces. 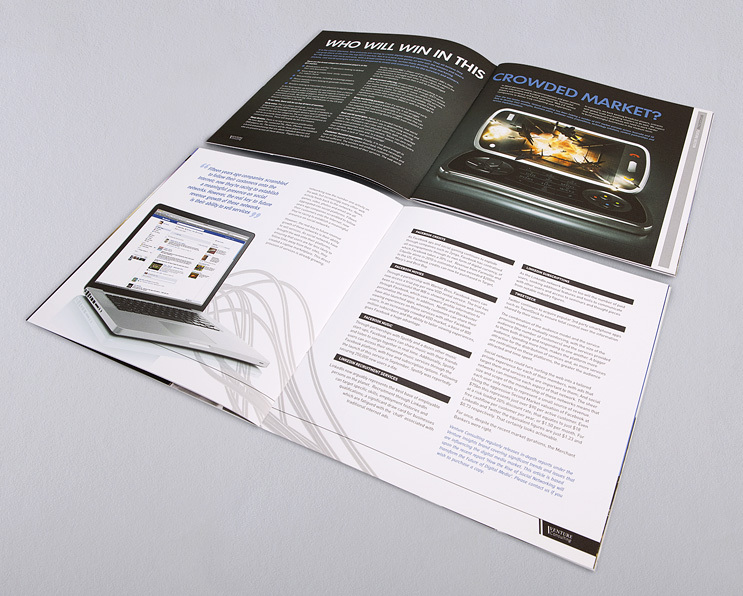 Essentially newsletters, they wanted the design to resemble a magazine – packed with informative and comprehensive articles in a format that felt less throwaway and would be more likely to be kept by clients.